They focus on this aspect because it is an essential part in the development and continuous improvement of all employees. In a corporate system, the most important resource that a company has are its employees. As more and more companies manage to go global, the need to make sure that the right training program is provided in each country and each language for each employee also grows bigger. There is a key factor that all companies must take into account if they want to make sure that they can rely on a quality training program, which is an accurate translation of that particular program. This post is meant to make companies like yours understand how important professional translation services are for your corporate training programs and why investing in these translation services is vital. Try to remember how your first days in the company were. I’m pretty sure that you felt a little bit tense because of the new environment you had to fit in, but how about the training materials you had to read as part of your mandatory training? Did you feel like they were clear and easy to follow? Or were you rather confused after reading them and felt like you had to put together the pieces of a misleading translation from English or other languages? If you subscribe to the second category, you have the necessary proof that your company needs professional translation services for its training programs ASAP. The last thing that an employer would want is confusing their newcomers right from the very beginning with complicated training programs. An explicit training material which can only be provided through a good translation can help them overcome the rest of the first day obstacles and feel more comfortable at their new workplace. I can’t stress enough the importance of a quality translation for your corporate training programs when it comes to the advantages that your employees gain. In every learning process, there are several steps that you must take to achieve knowledge and performance. 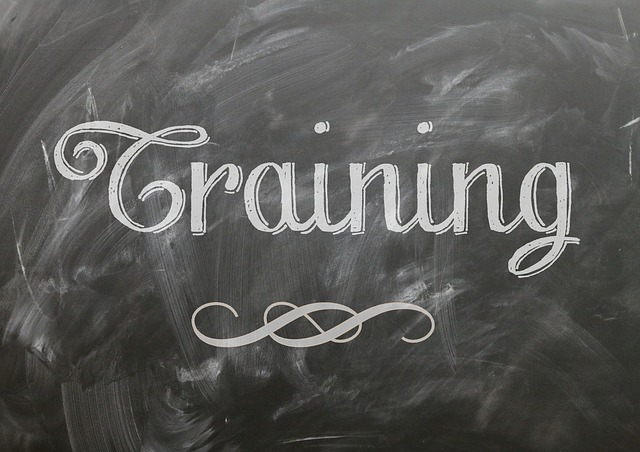 Your employees’ training period is essential for their future development and growth, which will certainly bring value to the services your company provides. If this employee has problems with understanding what exactly their course of action should be and they can’t even rely on the training materials you gave them, there is a high possibility they will fail to fulfill their tasks. On the other hand, an employee who understands the procedures right away thanks to the training that you have provided in their native language and which they constantly use as guidelines is far more likely to become an effective subordinate. In other words, by helping employees develop easier and faster, you actually help your company build a strong long lasting relationship with reliable staff. One of the most common advantages to using a professional translation services provider is not having to worry about the format of your translated training program. Unlike freelancers, translation companies are usually capable of delivering translations in the exact format the original material came in. This is due to owning and using specialized tools which help them handle a wide range of formats. What’s the advantage for you? Once you receive your translation, you can immediately forward it to the local HR manager who will make sure that all the employees who need it receive it. In large companies, there is generally a tendency to have translation teams comprised of the existing staff or to occasionally appoint certain employees for translation projects. While this helps you reduce expenses as you won’t have to pay a translation agency, it may not prove to be the good solution in the long run. Even if you choose the best foreign language speakers in your company, this does not guarantee quality translations. We are sure that they are great salespersons or recruiters, but what makes you think that they are also good translators? A reliable translation will always require an expert, and employees who are experts in other domains may have trouble when it comes to dealing with some of the most common translation challenges. Also, what will you do if they have to solve other urgent tasks related to their actual duties or can’t come to work in the day you need to hand over the translation for your training program? No matter how low your budget is, you need to understand that investing in good translations is not something you may opt for, but it is something that is necessary. This aspect is often ignored and it only leads to low-quality translations. When performing a translation, you don’t only look at the grammar structure and the right vocabulary, you also integrate the text into the cultural background of the country. This means that your training material has to be perfectly adapted for your staff’s profile. You can think about idioms and expressions that mean one thing in a language and a totally different thing in the target language. We are sure that you have lots of phrases like this in your corporate training programs and a translator’s job is to correlate them with suitable expressions from the native language of your employees. Here, we can also refer to other cultural aspects such as images, gestures or even colors, which have different connotations in different countries or should actually be avoided on ethical grounds. The budget that you have to spend on quality translation services is a smart investment, especially when translating a corporate training program. You may not figure it out right away, but, in time, an accurate training program makes employees more efficient at handling that particular process which represents the core of your training material. It is easy to see what a good translation does in certain situations. For instance, if a poor translation of your training program leads to confusion among employees, they will end up making errors which will cost you more than what you would have been charged for a good translation. This is one of the indisputable signs that you should use translation services for your business. The money you spend on translating your training program with professional translation services is a good investment which will certainly return in the form of quality service provided by your employees. These are just a few of the reasons we can think of that prove that you can benefit from professional translation services when translating corporate training programs. If you need to do this right away and you haven’t decided which agency to turn to, contact us today for a free quote and we will make sure that you will be able to submit your translation in due time.